Customer has a Fiat Punto with a missfire on cylinder 2 and suspects a faulty ECU but could not wait to have his ECU unit tested and repaired so therefore opted for our replacement service. We supplied the customer with a genuine new OEM replacement ECU which is fully plug & play and requires no technical programming. The unit was supplied with a 12 month warranty. 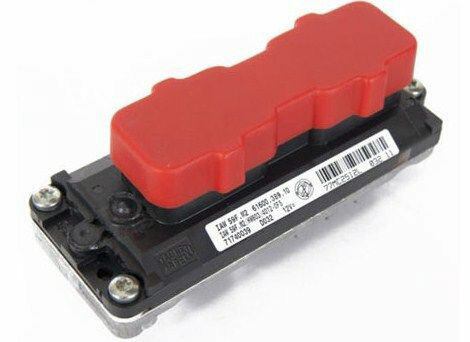 If you have a Fiat Punto with a Magneti Marelli 59F ECU fault, you can send your unit to us for testing and repairs or alternatively we may be able to supply you with a replacement part. For more information, you can email us, drop in or call 0208 853 5333. This entry was posted in Repaired ECU's and tagged Fiat Punto ECU Repairs, Fiat Punto ECU Replacement, Fiat Punto Missfire by smartAjaz. Bookmark the permalink.